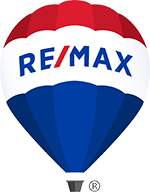 Says Dina Romero, at RE/MAX Champions, Upland Hills Office. Dina enjoys making the real estate process as pleasant as possible for her clients. Dina has been in the real estate and mortgage industries since 1983. She has also worked for several other well-known companies such as Prudential California Realty, Coldwell Banker Foothill Properties, Merrill Lynch Realty, Norwest Mortgage, Bank of America, South Pacific Financial and Coldwell Banker Mortgage. With over 30 years of experience, Dina has extensive knowledge of the various aspects involved in real estate sales transactions and the mortgage process. “I feel my experience definitely gives me an edge when it comes to representing someone on the purchase or sale of a home. My mortgage background is priceless to me. It helps me protect buyers from being taken advantage of, along with protecting sellers from wasting precious time with unqualified buyers. Being able to efficiently follow up on the status of the loan process and effectively communicate with appraisers has also been extremely helpful in making the purchase & sale process go smoothly for my clients,” Dina notes. The main reason why Dina’s clients keep returning to her is because of their satisfaction with her service. They say she is an experienced professional who puts in the extra effort that makes them feel instantly at ease and confident while working with her. Dina values her clients, and is committed to being honest, knowledgeable, and professional in her real estate career. Amongst her other services, she also helps her clients “stage” and correctly price their homes in order to get them sold in today’s market. Knowing that over 90% of buyers go online in commencing their home buying search, she provides hi-definition virtual tours and images of her clients’ properties online for great internet exposure to her listings. For personalized customer service with a lot of heart, contact Broker Dina Romero for all of your real estate needs. You can reach me by phone or text at 909-260-0142 (for a quick response) or by email at calldinaromero@gmail.com.